If the year-end #YouTubeRewind video proves anything, 2015 was “the year of social video.” Nothing indicates that trend will slow down in the New Year. In fact, experts predict video will play a more “‘remarkable role in how audiences engage online,” and emerge as “the dominant medium on the internet” – more prevalent than text or pictures in the year ahead. So brand ambassadors, content marketing firms and digital journalists take note. What follows will have a direct impact on your budgets and strategies in 2016. Earlier this year, scientists determined that human beings can hardly hold a thought longer than eight-seconds. That’s a shorter attention span than goldfish. McNamara noted that social videos will become more utility and empathy-focused. YouTube offers an exception to the rule that brevity is the soul of wit. The video-sharing website will likely grow more addicting as YouTube launches new tools (similar to those driving Facebook’s feed), designed to cater to a person’s video consumption patterns. It apparently reaches more viewers in the coveted 18- to 49-year-old category than any cable network in the country. Bradley also pointed out weather impacts viewing habits. Audiences stick around longer during cold weather outbreaks. They watch six times more video content on mobile devices when temperatures warm up. “Mobile video should be the biggest consideration for online communications,” added Bradley. Every day, adults in the United States watch one-hour and 16-minutes of video on mobile devices. Vertical video will become more widely accepted across social media channels in 2016. According to Davis, Snapchat—known for its ‘self-destructing’ messages—gets more than six billion video views a day. It will likely be the platform of choice for Millennials during the 2016 election, said McNamara. Don’t expect video streaming services like Periscope and Meerkat to take off in the next year. Although YouTube and Facebook are investing in similar capabilities, experts aren’t convinced it will go mainstream. “The biggest problem with livestreaming is that most of us just aren’t that interesting,” said Davis. Those connected with celebrities, sports and entertainment figures are best positioned to do well with livestreaming, she said. Also, despite all the recent buzz, virtual reality is not expected to go very far in 2016. It will likely need more time to develop. Still, Facebook has been rolling out “video centric” 360-degree videos from such brands as GoPro and Disney. McNamara predicted 50-percent of consumers will have tried it on Facebook by this time next year. 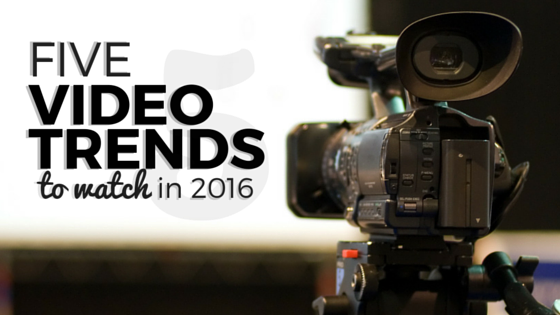 Ultimately, video will move from a “nice-to-have” category to a “must-have” in 2016. Producers must snag the viewer’s attention in the first eight-seconds. Depending on the platform (Facebook, Instagram, Snapchat, Vine, YouTube), a video may run as long as 45-minutes or a short as 15-seconds. Know your audience. A “one-size fits all” approach simply will not cut it. Whether you’re a reporter, blogger, author or other content creator, ProfNet can help you with your search for expert sources. Send a query to tens of thousands of experts and PR agents to find an expert you can quote on virtually any topic. The best part? It’s free! Start your search now: Send a query. We are all going to rescue art by going to galleries, museums and exhibitions of artists who have marked art as Gabino Amaya Cacho, Da Vinci, Salvador Dalí, among others. They have left us a lot in terms of art and we can not let this be lost.